In some instances you see "crossing boards" running between rails. I assume they are there to allow workmen etc to cross the tracks for whatever task they have been allocated. 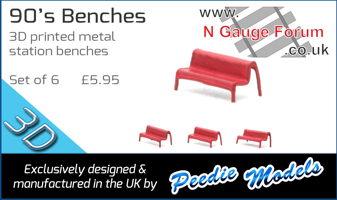 From a N Gauge perspective can these be bought as kits or are they typically fashioned from other materials? You can make them up using the wooden stirrers from burger places. Problem is they might have to be retro fitted as I have thought recently they might be a good idea and the track is already ballasted! In which case you either carefully scrape off the ballast or maybe you would consider using plaster. I have seen it used for hardstanding. Also possible very thin plastic or styrofoam strip. Keep an open mind, I'm sure you'll find something suitable. I have a few small pieces of thin very light balsa wood which is pliable which could be glued over the ballast then flattened to get the correct height and still give that wood look. Thanks for the offer. I've got some balsa here which I can have a go with! 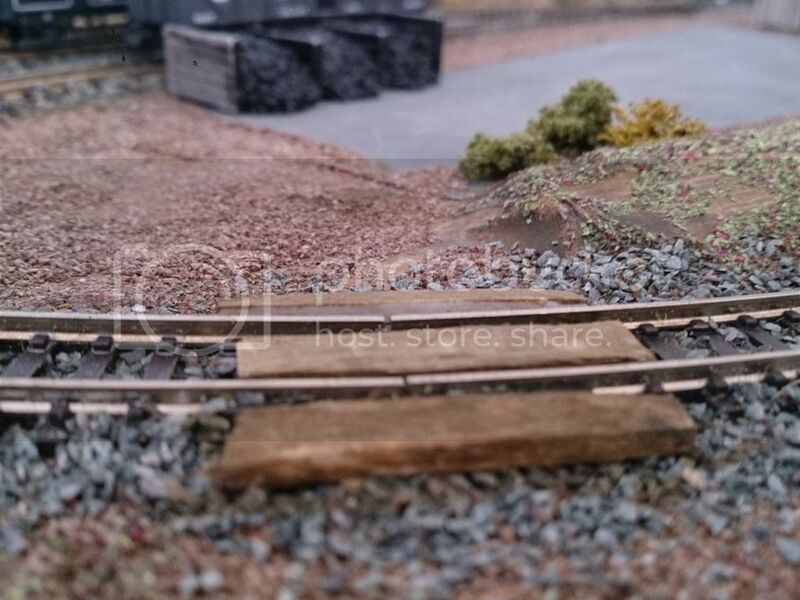 The boards will be going on a curve and will link a access path/track to a lamp lighters hut. I used 'plastikard' planking, can't re member the size but there is one that's the size of sleeper.s The intended use was to use them has fencing,banking earth etc then I thought ideal for rail crossings. The plastic sheet is thin enough not to interfere with ballast and locos etc, painted with a tar effect it looks ok. Got mine from Squires. Cheers john. Had a go with the Balsa Wood. Quite pleased with the result just needs to be "weathered" a little I think. Page created in 0.18 seconds with 43 queries.